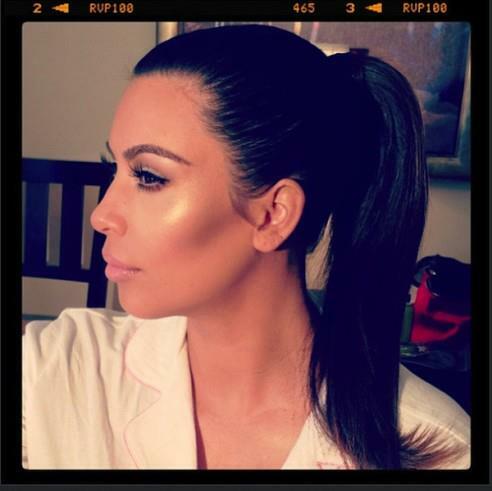 Kardashian Hairstylist Clyde Haygood talks "Braids, Top Knots and Pony Tails" for summer! Behind every fabulous celebrity is a Hair God that is responsible for the mane. Clyde "The Hair God" Haygood has been the Kardashian family hairstylist for the past 8 years and is fortunate for his talent that he is blessed to travel with the clan to all of their travel engagements and family vacations. I am sure the girls are fighting over him! I caught up with him while he was traveling with the sisters to launch the Spring 2013 Kardashian Kollection for Sears (watch it here) and I asked him what the KK's love, about setting trends and what we all can do to make our hair stand out in the upcoming Summer season. Take a peak, share the video and let me know if you like it, by leaving a comment! Clyde travled with the family to Greece a couple of weeks ago and created these looks.